Kruger National Park in South Africa is probably one of the world's most famous game reserves - it's definitely up there with the Masai Mara in Kenya and the Serengeti in Tanzania. Here's a bit of information about Kruger National Park and what you can expect to see if you choose to book a safari here. Spanning nearly 2 million hectares, Kruger National Park isn't exactly small and it's renowned for its biodiversity. Hundreds of species of animals and plants live on the reserve, so there's always something to see when you're out and about. To break it down a bit, there are 147 different mammals, 114 kinds of reptile, 336 types of tree and a staggering 507 bird species found here. It was established as a national park in 1898 and it's been a popular destination for travellers hoping to catch a glimpse of some of Africa's majestic wildlife for decades. Although the Big Five originated as a hunting term - to define the animals that were notoriously dangerous to catch - it's still used today, although people have thankfully replaced their guns with cameras. The Big Five is made up of lions, elephants, leopards, rhinos and buffaloes - all of which are large and impressive creatures. You'll have a good chance of spotting all these animals during a safari in Kruger and there are healthy populations of these species in the parks - especially elephants of which there are around 12,000! You'll more than likely come across a host of other animals associated with Africa, including hippos, giraffes, zebras, wildebeest, cheetahs, spotted hyenas and wild dogs, but if you have a special interest in a particular type of wildlife - like birds - consider booking a tailor made South Africa tour so you can get the most out of your trip. The Pafuri region in the north of Kruger National Park, for instance, is renowned as a great place to spot some of the area's birdlife, including species such as the crowned eagle, wattle-eyed flycatcher and Pel's fishing owl. I've already mentioned there are more than 500 types of bird that are spotted here, with the common ostrich, flamingo and crowned hornbill among the feathered creatures I'd love to see on a visit here.Don't miss out on the amazing plant life, their the baobab tree, with its massive, thick trunk, is easily recognisable and also pretty incredible - it's estimated the oldest one of these trees has been around for more than 6,000 years. If you have time to visit the northern and southern parts of Kruger, you'll notice a difference in the vegetation. In the north, baobab trees stand side-by-side with fever tree forests, while in the south you'll predominantly find thornveld - a grassland environement featuring acacia trees and other thorny plants. 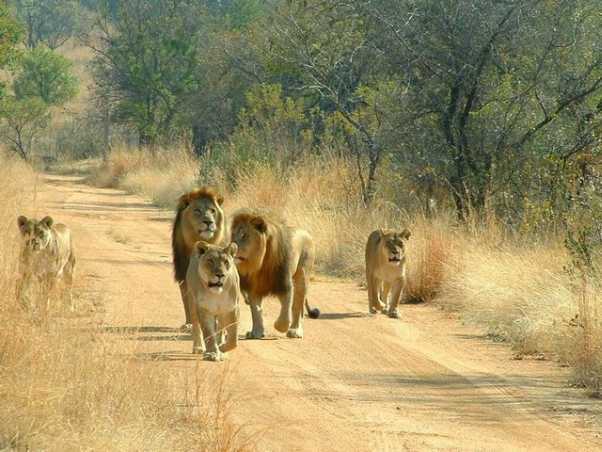 Have you been lucky enough to visit Kruger National Park? Do you have any tips of places to go or creatures to look out for?